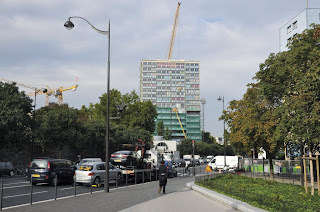 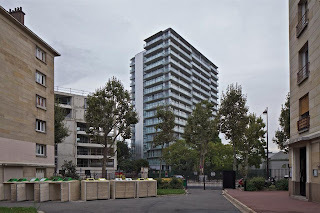 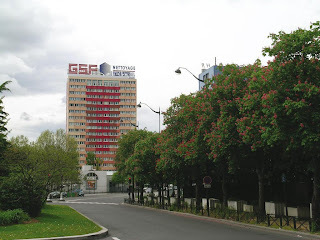 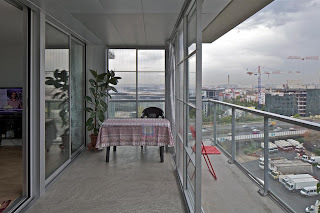 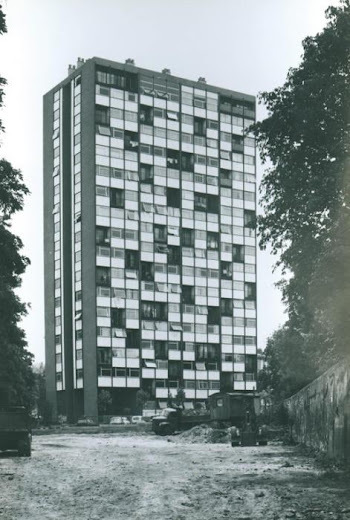 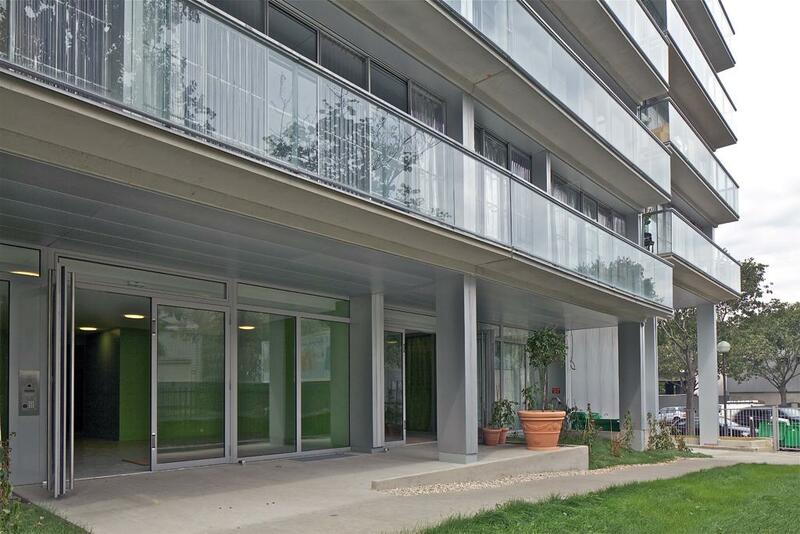 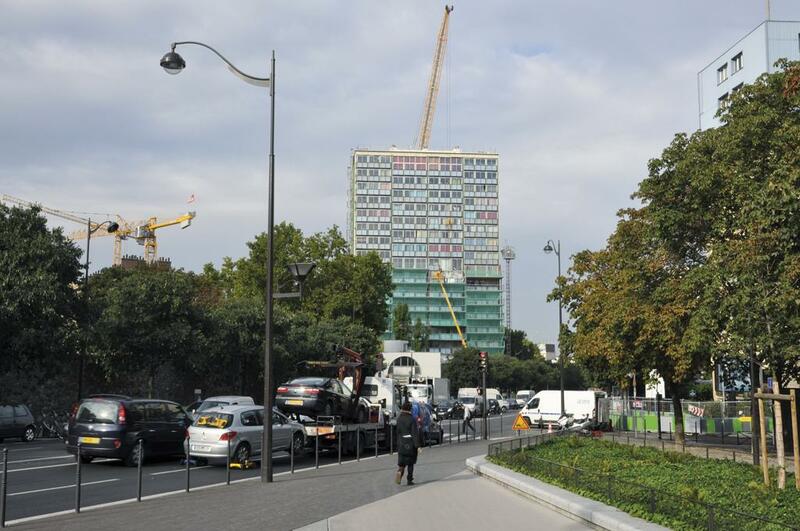 Built in the early sixties along the ring road of Paris, this high rise block of 16 storeys includes 96 apartments. The demolition, firstly envisaged, has been avoided and a project of transformation decided. 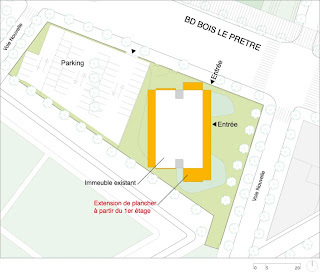 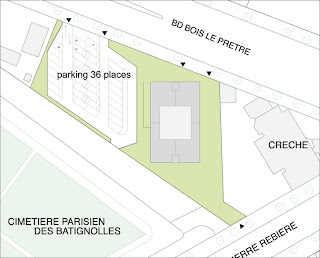 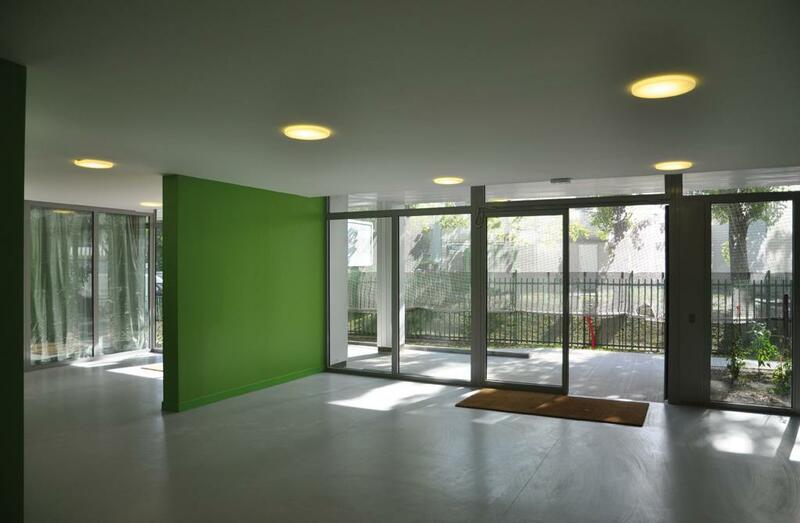 The project propose a generous extension of the apartments. 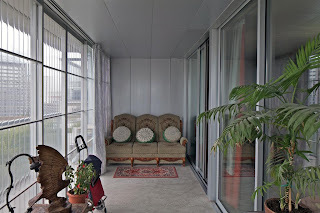 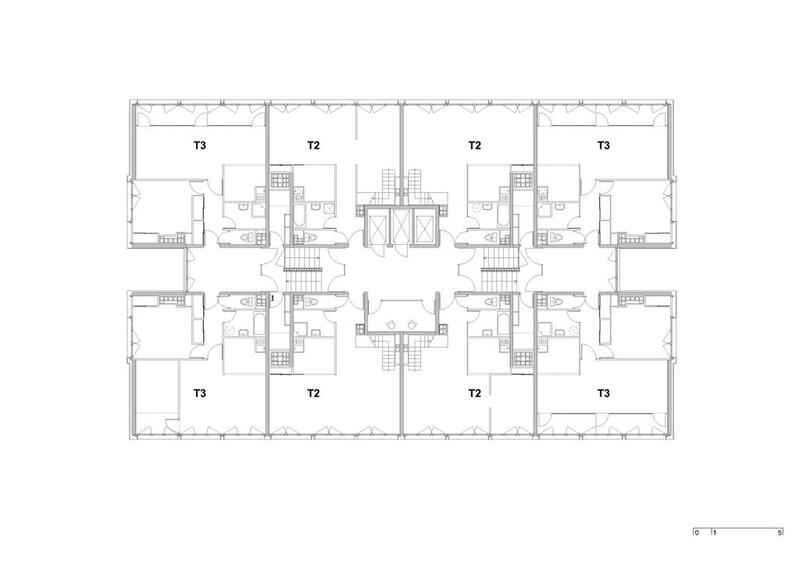 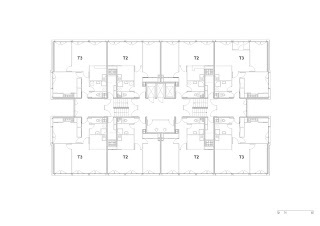 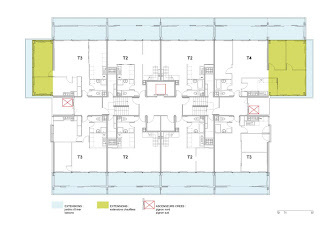 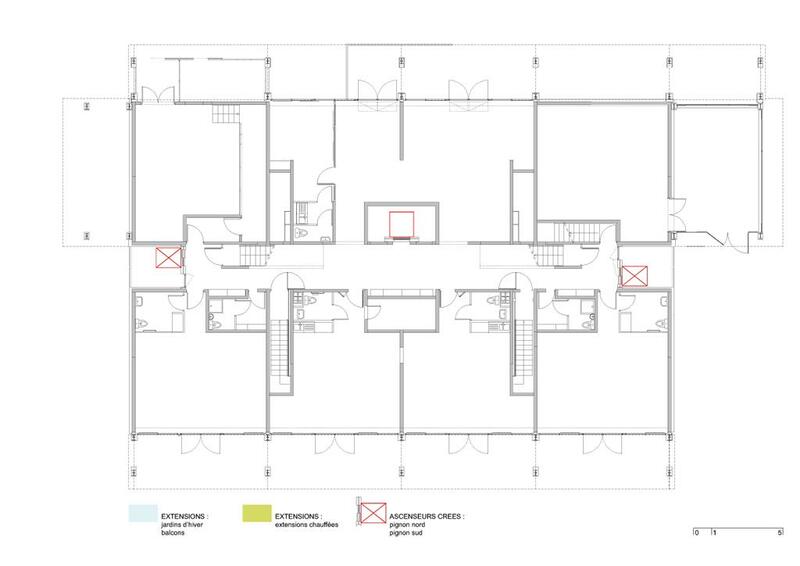 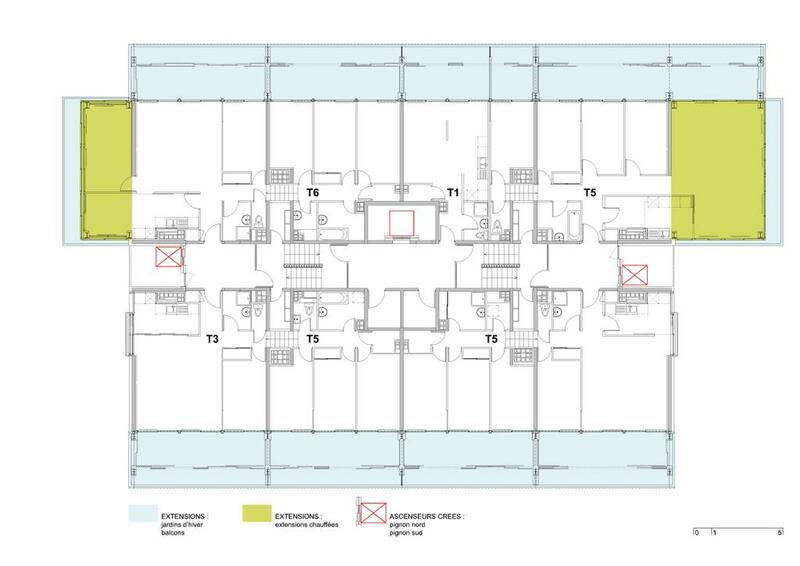 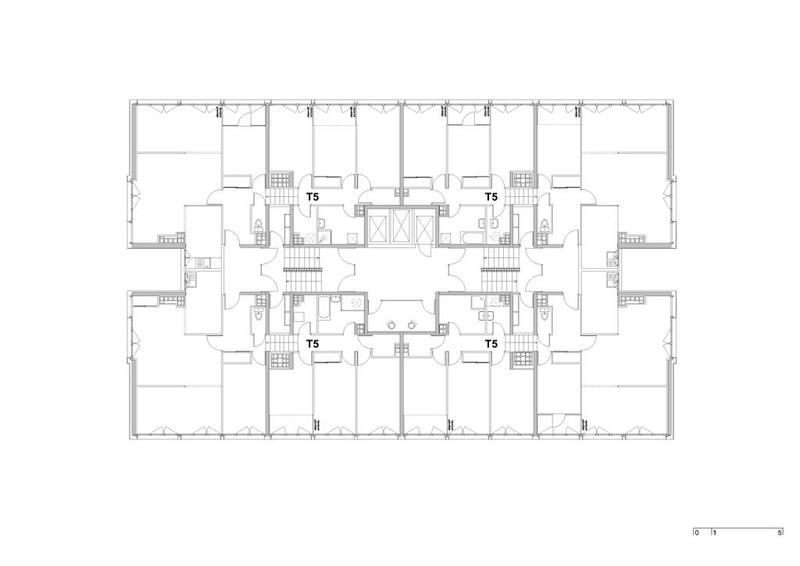 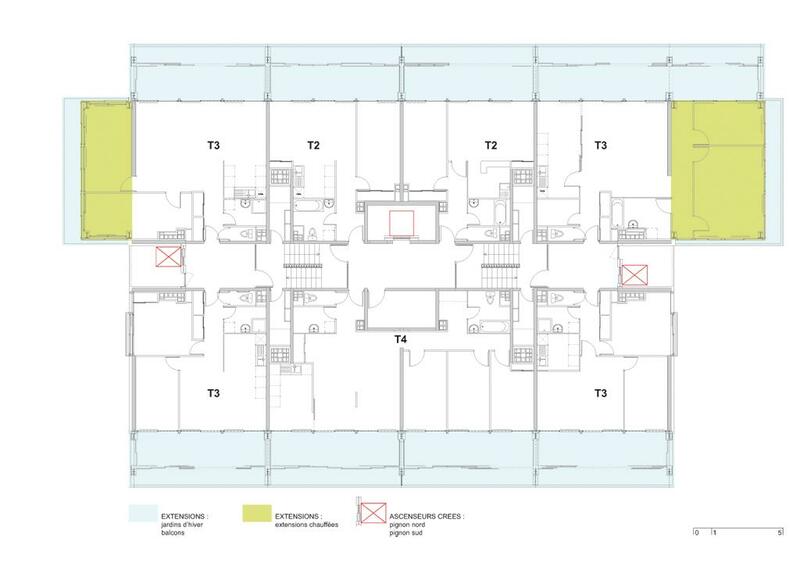 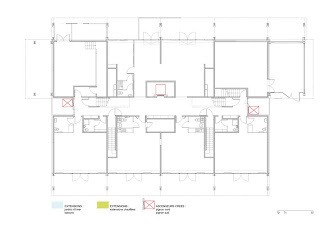 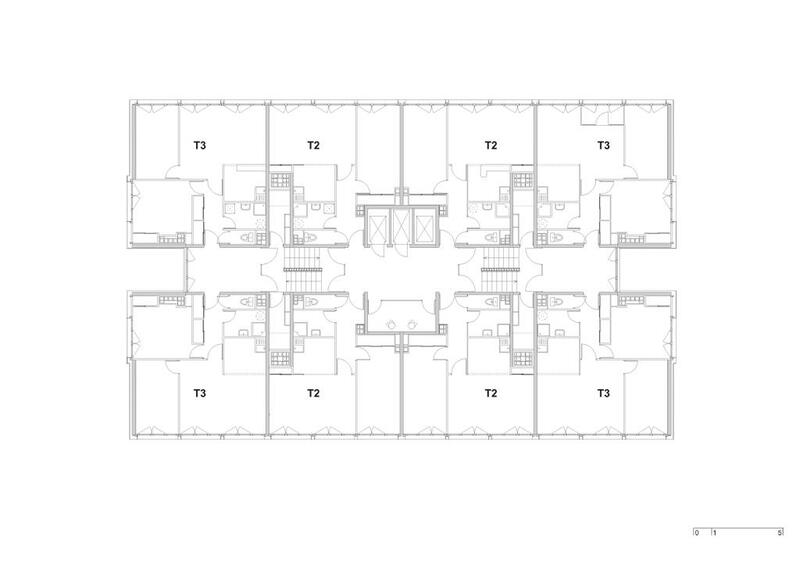 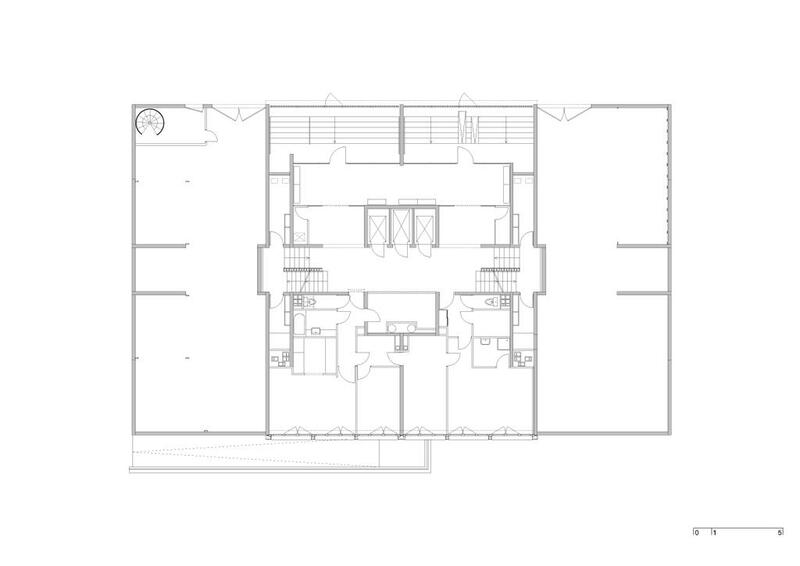 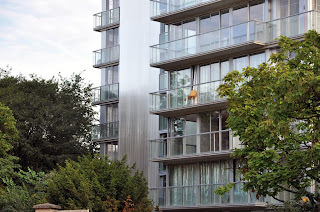 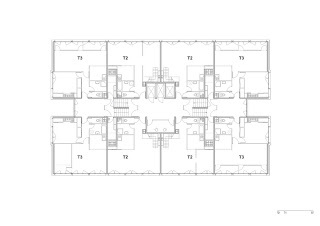 New floors, built as a self-supporting structure, are added on the periphery of the existing building at every floor, to extend the living rooms, create closeable terrasses and balconies. 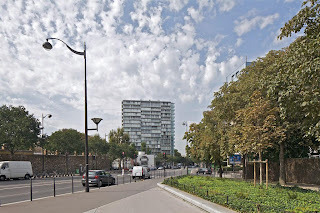 The existing facades with small windows will be removed and replaced by large transparent openings, so that the inhabitants will profit of the exceptionnal view on Paris all around. 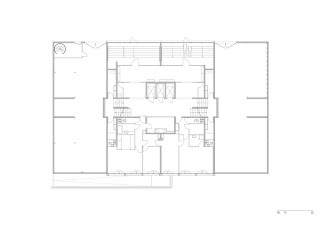 The volume will be releases of all useless rooms and installations to become a free and transparent space from the entrance to a new garden created on the back of the building. 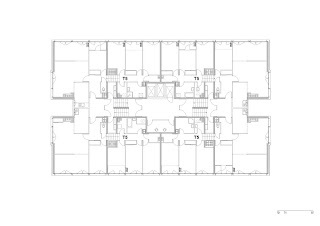 Rooms for collective activities will be etablished on the sides of the hall. Two lifts will be built to improve the access to the apartments. 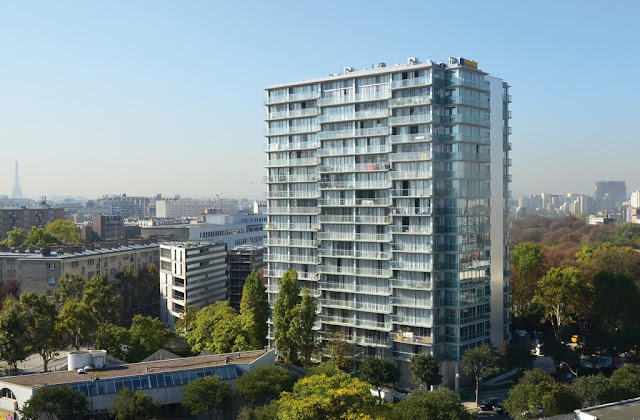 The structure will be designed with prefabricated elements so that the inhabitants can stay in the apartments during the construction works.